Show us a kid that doesn't think they're awesome :) And who do they take after? Their Mother! 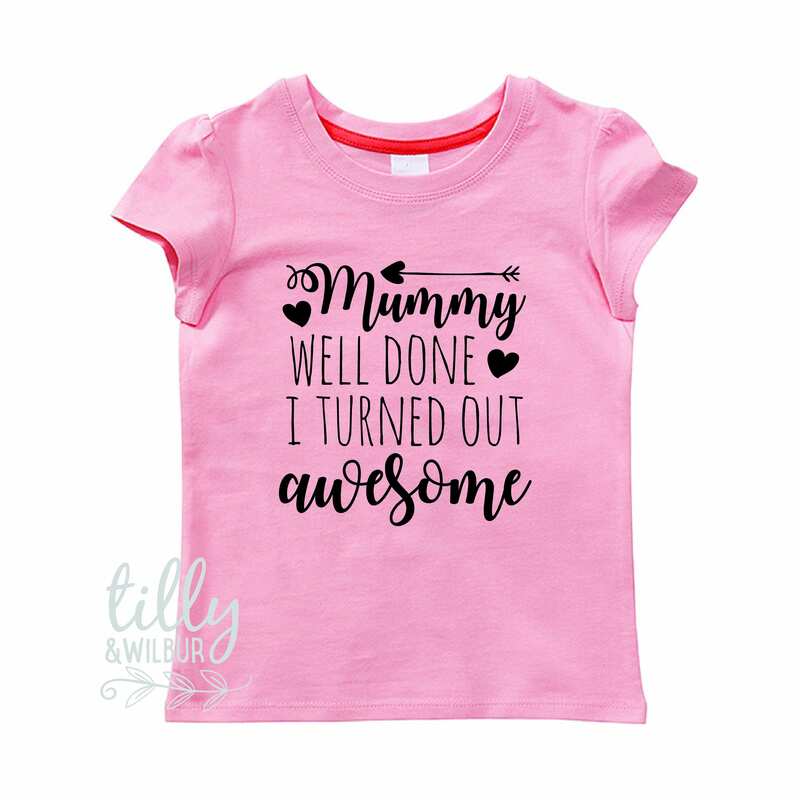 The words read "Mummy Well Done, I Turned Out Awesome"
Please note the shade of pink may be slightly different to that pictured.